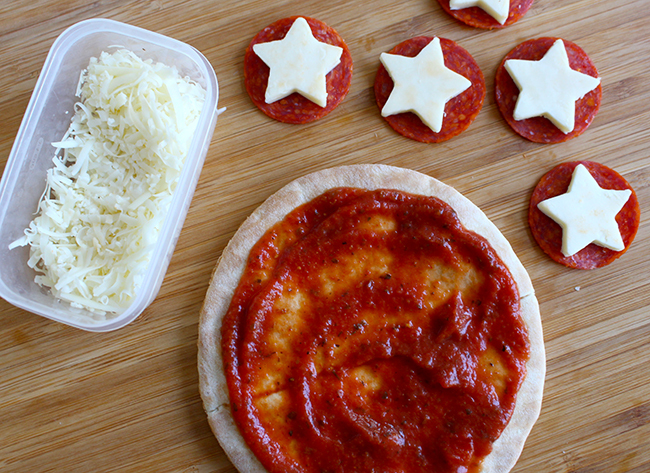 Trying to keep school lunches interesting? It can be a challenge to think of creative lunchbox ideas every day, and some of the pinterest lunchbox ideas can be a little overwhelming. Here’s at Rockin’ Boys, we’re all about simple things that are boys love. And one thing our boys love is anything MARVEL. 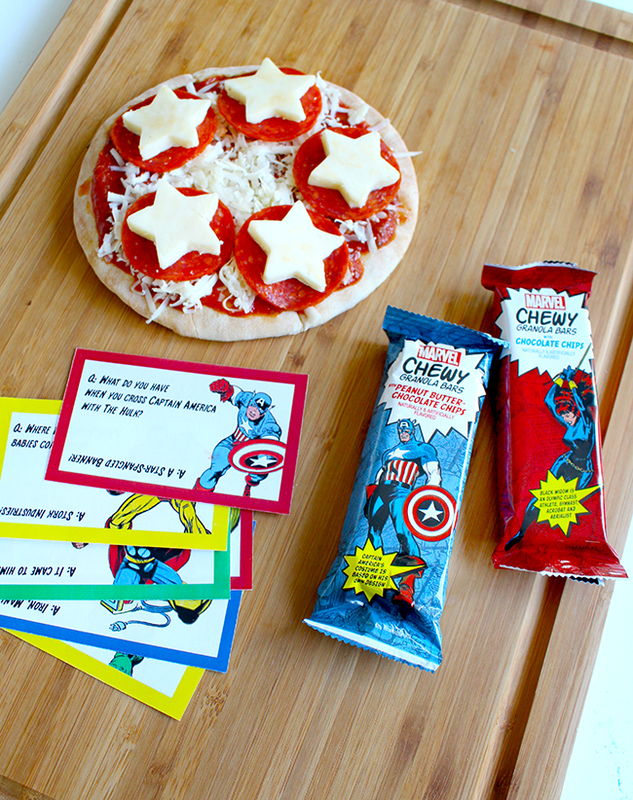 We found these awesome MARVEL Chewy Granola Bars at Target, and just knew we had to use them in a fun MARVEL-themed lunch. 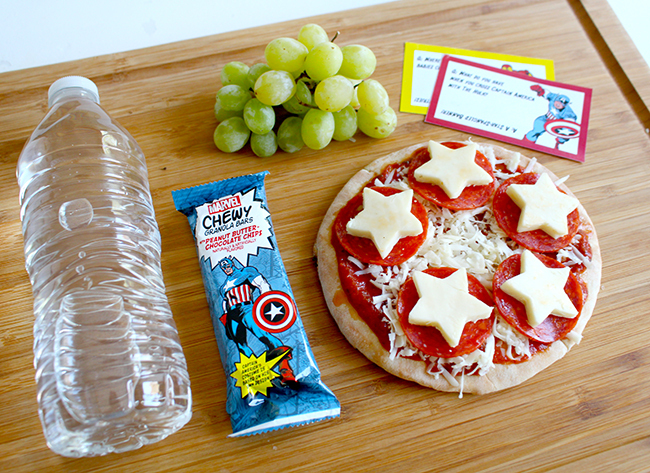 If you have a few pizza ingredients and a printer, then you have all you need to make this super fun and easy MARVEL-themed school lunch. 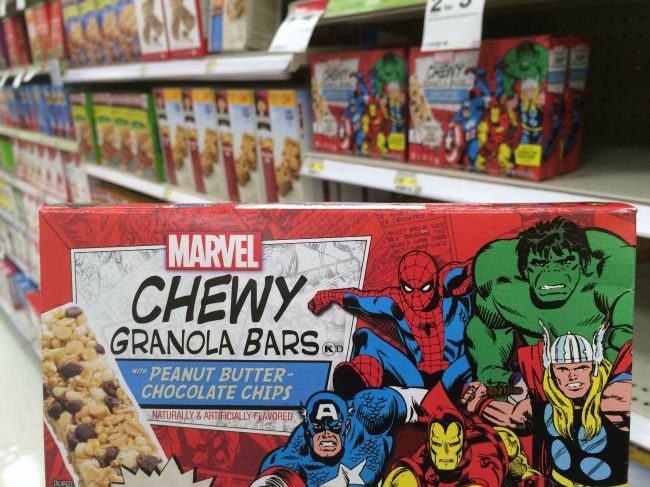 First, grab some MARVEL Chewy Granola Bars. They’re in the snack aisle at Target. They come in two varieties: Chocolate Chips, and Peanut Butter Chocolate Chip. You’re also going to need your pizza ingredients. 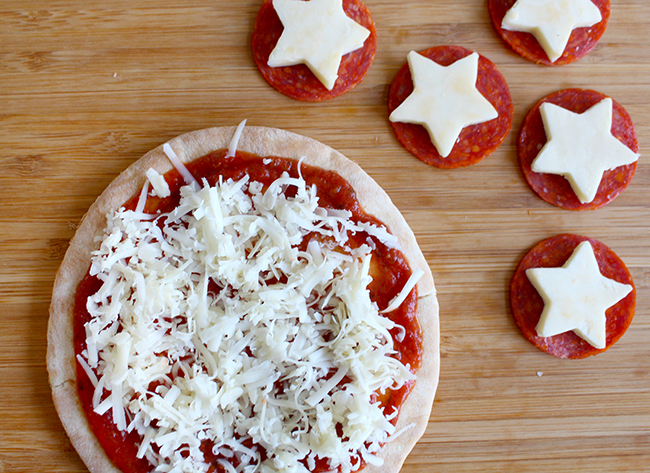 Mini pizza crusts, round sandwich thins, or mini pita bread are all great options. Then you need some sauce, shredded mozzarella, pepperoni, and a block of mozzarella too. 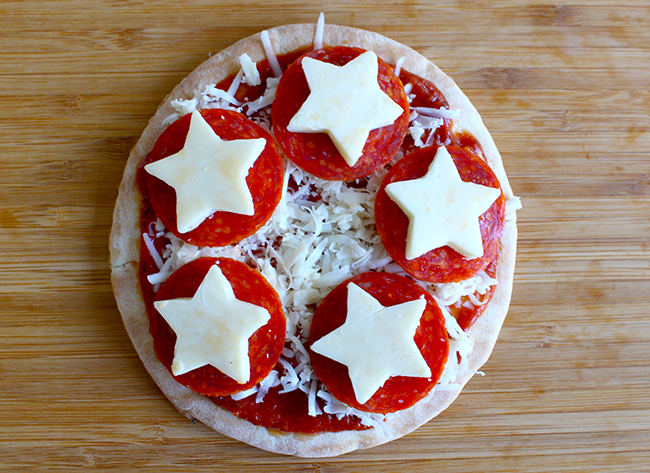 Slice the block mozzarella, and then use a small star cookie cutter to cut out a few stars. You can cut just enough for one lunch, or cut the whole thing up and store it for a week of awesome superhero pizza lunches. 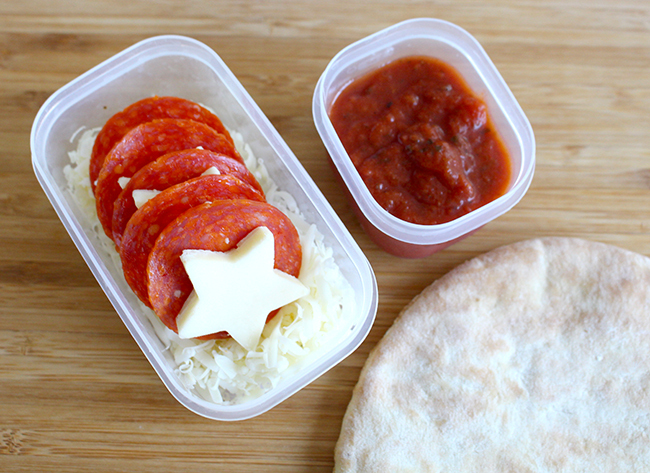 Layer your toppings in a container, put some pizza sauce in a smaller container, and put the pizza crust in a baggie or sandwich container. 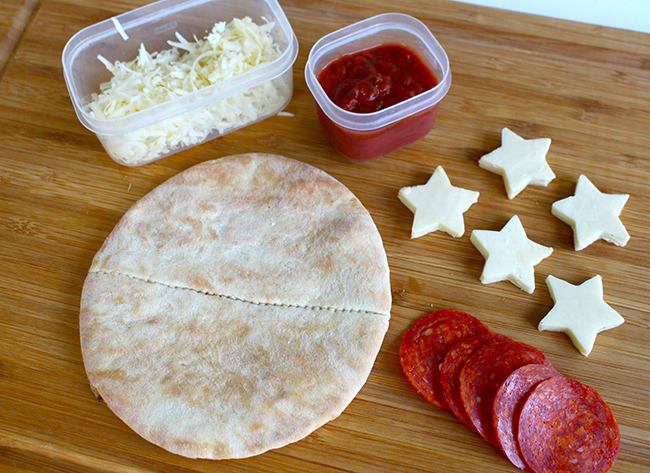 When it’s time to eat, your child just has to assemble the pizza! Along with the MARVEL Chewy Granola Bars and superhero pizza, you can add your child’s favorite fruit and drink. 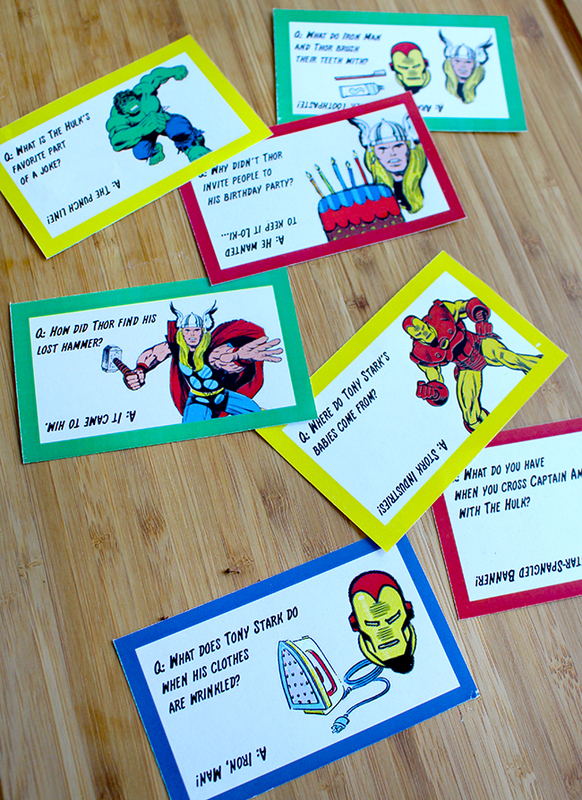 Don’t forget to add the FREE Printable Superhero Lunchbox Notes too! 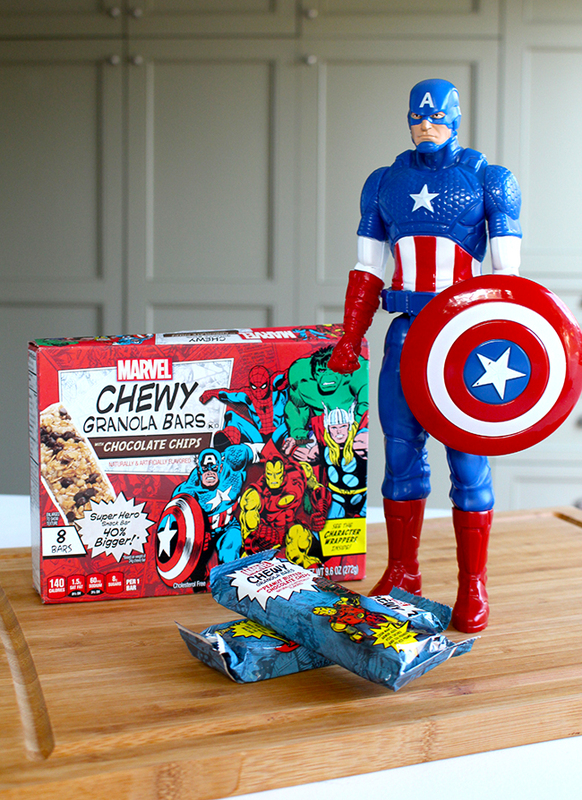 These Super Hero Snack Bars are 40% bigger based on weight of 24g chewy bar. Perfect for a super big appetite. We also like to add an extra treat in to share with a friend. It makes lunch time even more fun that way. 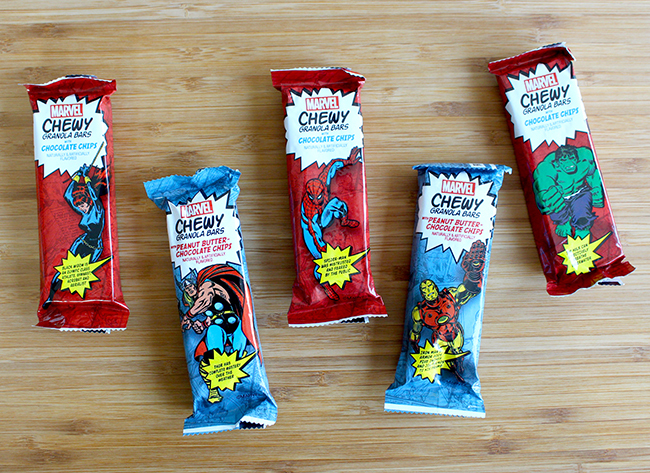 The MARVEL Chewy Granola Bars have six different wrappers that include some of your favorite MARVEL characters: Captain America, Hulk, Spider Man, Iron Man, Black Widow, and Thor. You can change up the lunch ideas to match the character. For example some cheese cubes skewered on pretzel sticks would make awesome hammers! Anything green would be Hulk-tastic. Look for the four collector cards in the box as well! You can mix and match them with our printable joke cards in the lunchbox, or keep them at home. 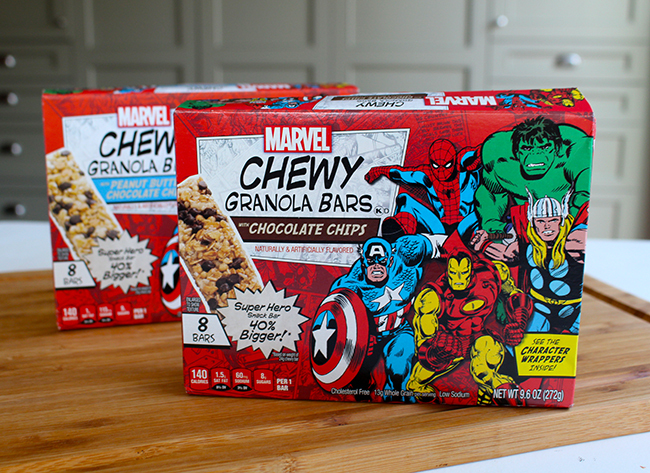 MARVEL Chewy Granola Bars are a great snack in the lunchbox, or anytime. 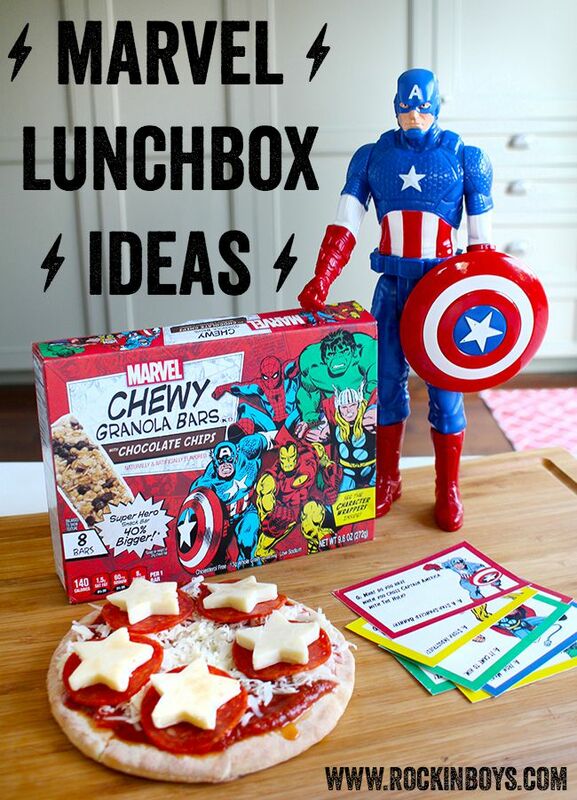 Check out snacksforheroes.com for more great MARVEL-themed lunch and snack ideas! And tell us in the comments: Who’s your favorite superhero?